14 Inch Cut-Off Saw Rental – Stihl – TS 420, is available for rent in Rochester NY, Ithaca NY and the entire Western New York region from the Duke Company. 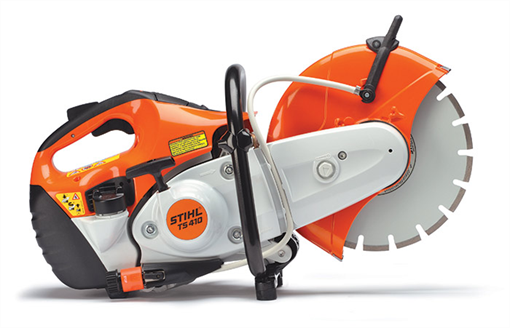 The Stihl TS 420 Cutquik 14 inch cutoff saw features an electronically controlled fuel injection, reduced emissions, advanced air filtration system, anti-vibration system, and semi-automatic belt tensioning and ergonomic grip. This saw features balanced performance and power. Fuel tank capacity = 24 ounces.